In this tutorial you will learn how to unlock The Sims 4 expansions before it is actually available in your area. This only works if you have Windows to install the software. First you will need a the expansion game code. The fastest way to buy a game code is to Pre-order The Sims 4 Expansion on Origin. When The Sims 4 expansion gets first released in let’s say Korea, connect to the VPN using steps shown above. Then, just run The Sims 4 from Origin. You’ll probably have to download an “Update” (just authentication files). Run The Sims 4 expansion, then disconnect from VPN. Basically you’re only using the VPN to unpack the encrypted game files and get authenticated, you shouldn’t need it after that is done. 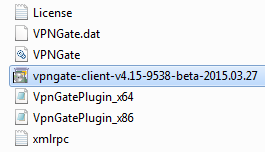 Go to www.vpngate.net and Download SoftEther VPN Client + VPN Gate Client Plugin. Extract the software and open the .exe file in the extracted folder. Install the software and click on SoftEther VPN Client. Open software after install, double click VPN Gate Public VPN Relay Servers, search for a country where they will release The Sims Expansion first (this is almost always Korea). Click any Korean server you like, then connect. Open Origin to start your The Sims 4 Expansion download. When it’s downloading you can disconnect (crtl+d) and download according to your internet connection speed. Put on your VPN connection again to open and play the game. After you opened the game, you can turn it off. These steps are all tested and working! You now reduced your wait time to play the new Sims 4 expansion! Using a VPN connection is very slow so only use it when it’s needed. Warning: Don’t use a VPN to get Origin games cheaper. This will get your account banned! It is perfectly safe if you are just using it to unlock the game a little earlier after buying it legitimately. I’ve tried this and it worked. I’m very skeptical about downloads due to the trouble with viruses I’ve had in the past, however I had no problems with this. Even if you are not very tech savvy I would say this method is safe for you to use. this doesnt work for me… whenever i try to do step 2 it fails.. oh well, guess i can wait for the game. It’s one of the few options down below when you open the program. Just double click it. Thank you, it’s currently downloading! I live in the UK and couldn’t wait any longer heheh so I’m very thankful. You can find the game if you click on you the sims 4 game and then click the i (information) button. You will find your game there. i cant download because it says application not found please help! THANK YOU SO MUCH! I’m just wondering I didn’t get the last part, when you play the sims 4, do you have to connect to a korean network again? In my personal experience, No, but that may just be me! Is anyone else having game crashes? My game crashes every 10 minutes now, but I wasn’t sure if this was why? This seems illegal. You might get into trouble by doing this. But as you wrote your comment it hasn’t been released in Korea, guess that was the Problem! Did you go to My Games in Origin, right click The Sims 4 game, click view game details, scroll to The Sims 4 Get Together, then I think it was either right click on that or move curser over it to see the download button, click download, once it starts close vpn so it downloads quicker. I connected via the Korean vpn but i converted the price and its 21 GBP wich is cheaper, if i buy it will i get told off for getting it cheaper? Don’t do this, there is a chance your account will be banned. Will this Still work with Cats and Dog? I remembered it worked when I got get together. I’ve already preordered Cats & Dogs, I’m just wanting to get the download a bit earlier, but I don’t think it’s working for me? I’ve got the VPN up and running (one of the Korean ones), but nothing has changed on the Origin side of things, it still gives me the same time and date as before I set up the VPN. Did I do something wrong, or miss a step? Any help before 9pm would be appreciated. will this still work with seasons? Actually it doesn’t release the same day in every country. Australia has it right now and the US doesn’t get it until tomorrow. It could be because your country doesn’t allow vpn servers. Some country’s are very strict about that.